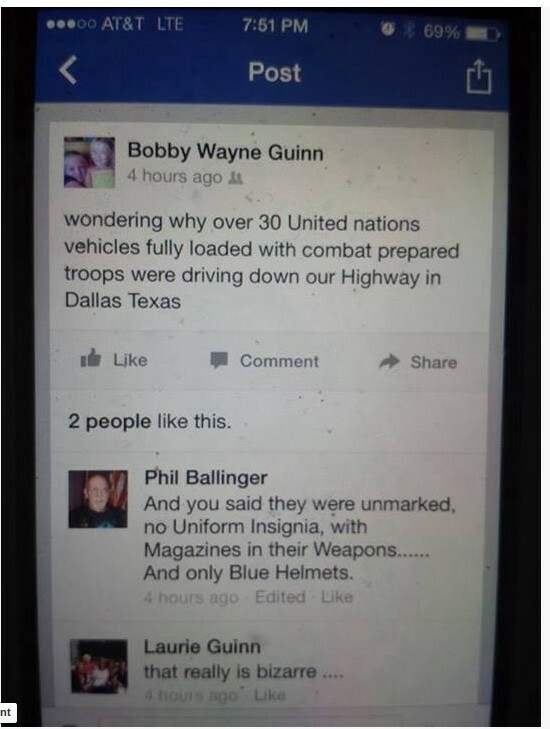 EYEWITNESS WARNS OF UN TROOPS IN TEXAS: "30 U.N. VEHICLES FULLY LOADED WITH COMBAT READY TROOPS!" *BREAKING* More proof they’re prepping for something HUGE here!!! Original UN Troops in Texas story down below.